Come with us to explore the different architectural styles of property found across the USA and where they took their inspiration from. When you think of American property, what springs to mind? A cosy log cabin in the woods? A modern LA mansion? Something with a white picket fence? An apartment in Manhattan? 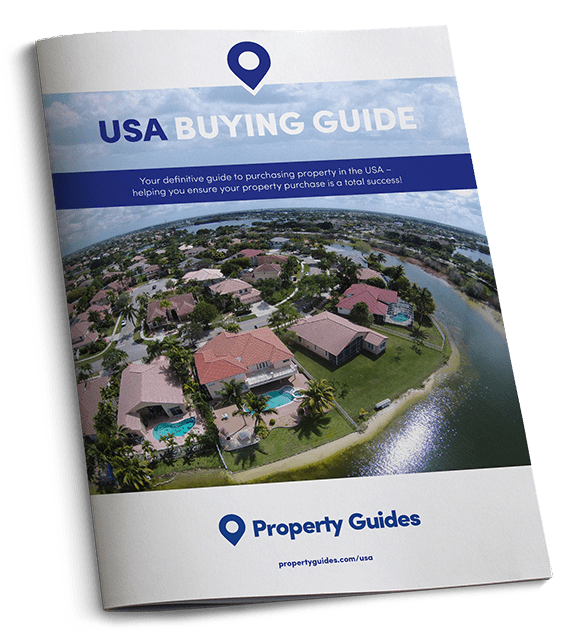 There’s a huge range of property available in the US. Today we’re looking at the most popular styles. If you’re looking for a property with a little history that reminds you of home, you might consider a Cape Cod home. This style of property was built by the first settlers to arrive in the New World. The builders were said to be inspired by the thatched cottages the Brits know and love. The majority of the Cape Cod homes you’ll see today are located in the northeast of the USA – particularly in New England – and were mostly built just after World War II. If you want a beautiful home but have a more mundane budget, you’ll need all your negotiating skills. Read How to Negotiate Abroad for some insider tips, written by a licensed realtor. 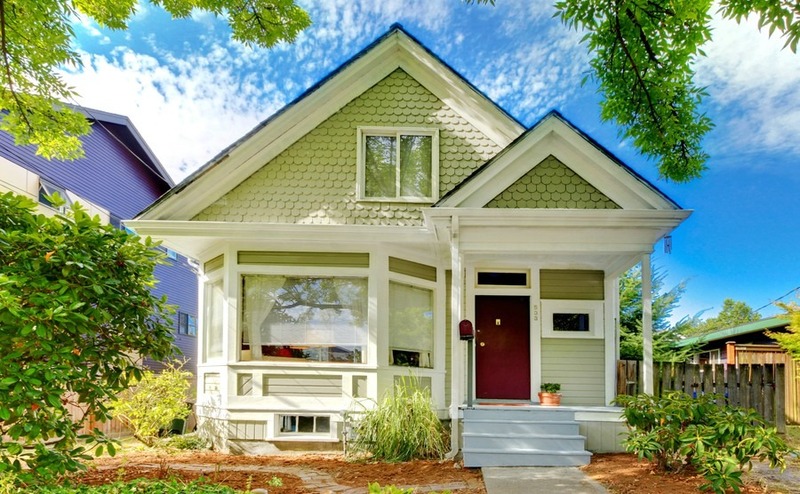 Craftsman-style homes are usually large and the emphasis tends to be on the use of natural materials like stone and wood. This style of home is most common in the Midwest, but they’re popular across the nation. Houseplans.com revealed it is the most sought-after style of property on the market. Most enjoy wonderful large porches, just perfect for his and hers rocking chairs! There are a few varieties of Colonial architecture – Georgian Colonial, Federal Colonial… – but as a general rule, Colonial-style properties can be identified by their impeccable symmetry. Properties are typically square and have shuttered windows. Evenly-spaced dormer windows, chimneys and columns are also common features. This spacious four-bedroom Georgian style family home is a little slice of Britain in a desirable neighbourhood on the outskirts of Chicago. All for just $399,900 (£300,000). If you’re relocating to the southwest, Pueblo Revival style property is popular. This style of property is constructed using earthy materials like adobe or concrete, and tend to feature lots of natural wood. 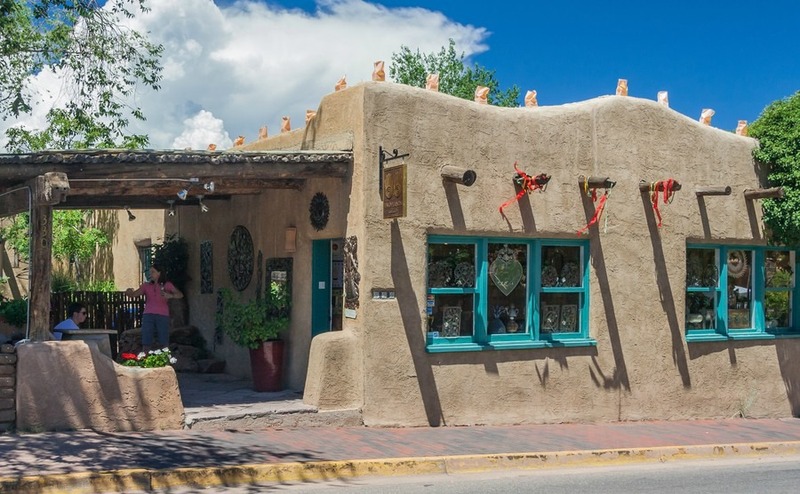 Pueblo Revival properties are incredibly distinctive – they are usually red or sandy-coloured, and have tiled roofs and square windows. If you’re of an age to remember The Virginian and The Little House on the Prairie, you might picture yourself holed up in a cosy ranch. This style of property is popular across the country, particularly in the Midwest and a good portion of the south. Ranch-style homes are just as likely to be located in suburban neighbourhoods as in the countryside, but many do come with a plot of land. They’re typically large; one storey ‘L’ or ‘U’ shaped properties, with an attached garage. If you want the ranch style property and the outdoors lifestyle that goes with it, check out this hand-built custom log home standing on 158 acres of land in rural Montana. The price tag isn’t small either at $3,200,000 (£2,400,000). 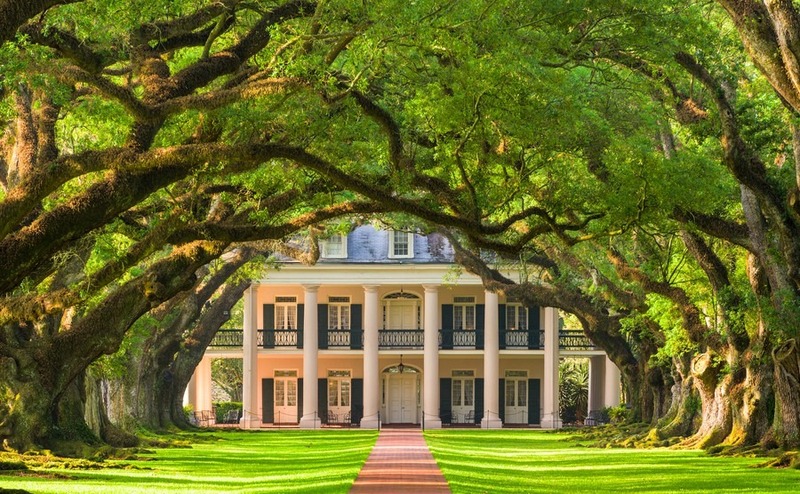 It’s hard to get Gone With the Wind out of your head when you look at these kind of homes, and they are likely to stir deep passions in property hunters. If you’re relocating to the Deep South you’ll need a property that’s adapted for the heat. They often have wrap-around porches, wide roof overhangs to shelter under, or screened-in sun rooms which allow air to circulate. They are often wonderfully elaborate with grand chandeliers, columns and enormous sweeping staircases – just be careful you don’t take a tumble down it Scarlett O’Hara style!